The G-Drive Mobile 500GB HD portable hard drive from Hitachi subsidiary G-Technology takes a 'no-frills' approach to mobile storage. It's USB 2.0 only, and offers no fancy features like capacity gauges or one-touch backup, no additional software or turbo drivers, and its only bundled accessory is a USB cable. So given it costs £100, and you can get similarly specced portable drives for around £70, what does it do to justify its price tag? In our tests, the G-Drive Mobile achieved an average random read speed of 9.4MB/s, and an average random write of 13.42MB/s, which is about what you'd expect for a portable USB drive. Not too shabby, but nothing special. If matching styles are your thing, it's designed to resemble the white polycarbonate MacBook, though it looks more like the previous generation than the current release. Build quality is average, with a plastic lid atop a metal tray, and at 250g it's a bit heavier than most portable drives. Its attractive custom desktop icon is neat, though. G-Drive Mobile is pre-formatted using Apple's Mac OS Extended (Journaled) format, but then again, you can reformat a drive yourself in the time it takes to make a cup of tea. 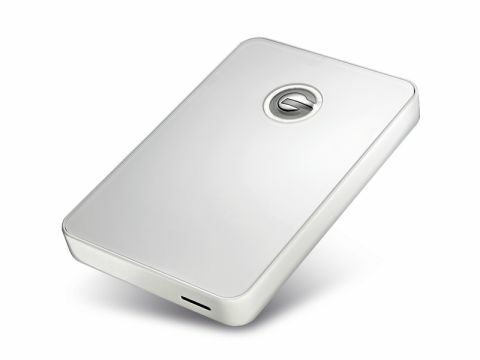 There's nothing much wrong with G-Technology's G-Drive Mobile 500GB, but then there's nothing much to make it stand out from the crowd either. White MacBook owners who go to great lengths to make sure their computer equipment matches might find it worth the extra money, but everyone else would do well to look elsewhere.